Do you have that ice-fishing itch?? With the cold weather and snow blanketing the Northeast, Ice-fishing is on everyone’s minds. 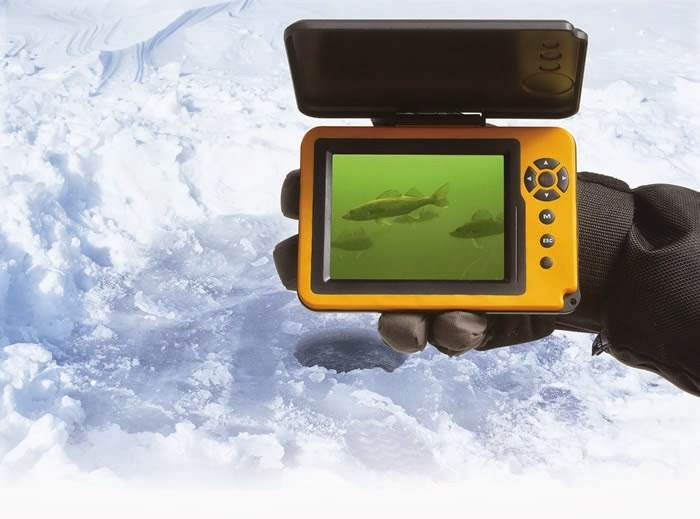 Fishing through the ice requires skill and knowledge. But, anyone can ice fish successfully if he/she does their homework. Learning about the water to be fished, the equipment and its capabilities, proper clothing and safety precautions are all part of a successful, enjoyable winter fishing experience. Go with a buddy if at all possible! How do you know when the ice is safe? The Minnesota Department of Natural Resources says that there really is no sure answer. You can't judge the strength of ice just by its appearance, age, thickness, temperature, or whether or not the ice is covered with snow. Strength is based on all these factors -- plus the depth of water under the ice, size of the water body, water chemistry and currents, the distribution of the load on the ice, and local climatic conditions. 5 inches of ice is what I look for. 5 inches of ice will support a small group of people walking single file.This guide is based on clear, blue, hard ice on non-running waters. Slush ice is about 50 percent weaker and should be avoided at all cost. The heavy snow the Northeast is seeing can cover up open holes making walking on the ice extremely dangerous at times. Safety should be your number one priority whenever making a trip out onto the ice!